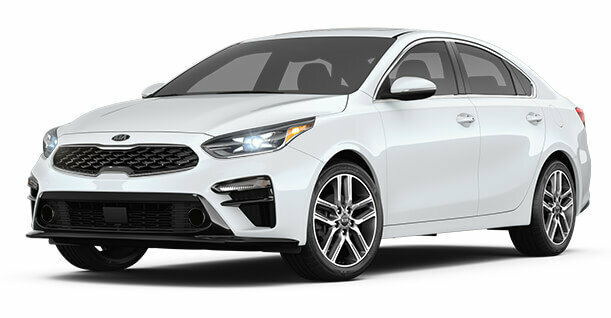 When you’re comparing the 2019 Kia Forte to the 2019 Hyundai Elantra, you have to look below the surface to find the most significant differences between the two compact sedans. In other words, what differs from one model to the other doesn’t jump out, but there are indeed some important differences. That said, let’s start with characteristics both Korean compacts share. For starters, both have been redesigned this year. They feature a new design and new equipment, and both have exchanged their 6-speed automatic for a continuously variable automatic gearbox. They are both powered out of the gate by a 2.0-litre, four-cylinder engine that delivers 147 horsepower and 132 pound-feet of torque. On the road, both are comfortable, and both are fun to drive according to the experts. 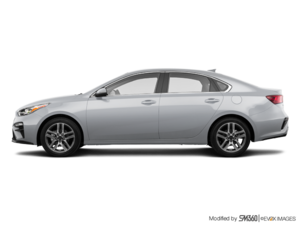 Get behind the wheel of each model back to back and you’ll notice a few interior design changes, but overall, they share many similarities inside as well. And that’s where the similarities end. Now we’ll look at certain areas that ultimately favour the new 2019 Kia Forte over the Hyundai Elantra. If you opt for the CVT gearbox, you’ll get an average fuel consumption rating of 7.4 liters per 100 kilometers in the city and 5.5 liters per 100 kilometers on the highway in the 2019 Forte, and 8.3 liters per 100 kilometers in the city and 6.4 liters per 100 kilometers on the highway in the Elantra. Yes, the 2019 Forte is more fuel-efficient than the Elantra by about 1.0 litre every 100 kilometres, and that’s despite the fact that they share the same powertrain! The reason is that the Forte is lighter, meaning there’s less for the engine to haul. The end result is a car that feels faster but requires less fuel. That’s what you get in the 2019 Kia Forte. And then there’s cargo space. The Kia Forte features 434 litres of space in the trunk while the Elantra has 407 litres. It’s not a huge difference, but you will notice it. Lastly, we have to look at the price. Yes, the 2019 Elantra is more affordable with a starting price of $16,999 compared with $18,245 for the Forte. However, there are more features included in the Forte. One example includes the heated steering wheel. It’s standard in the Kia but optional in the Elantra. Yes, you read that correctly. There’s a heated steering wheel in every 2019 Kia Forte. There are also heated seats, Apple CarPlay and Android Auto, an 8-inch touchscreen and Bluetooth. While the heated seats come standard in the base Elantra, none of the other features listed above do. They are all available on the Preferred model which starts at over $19,000. In other words, the 2019 Kia Forte provides better value while also being more versatile and more fuel-efficient despite having the same power as the Elantra. To learn more, contact us today at Kitchener Kia!